We can welcome more than 150 vessels, ranging in lengths up to 200 feet. Snug Cove’s entrance is well lit and shoal free. With approximately 13.5 feet of water at the entrance at a zero tide, and ample room for easy maneuvering, we are the perfect facility for guest & year round moorage. 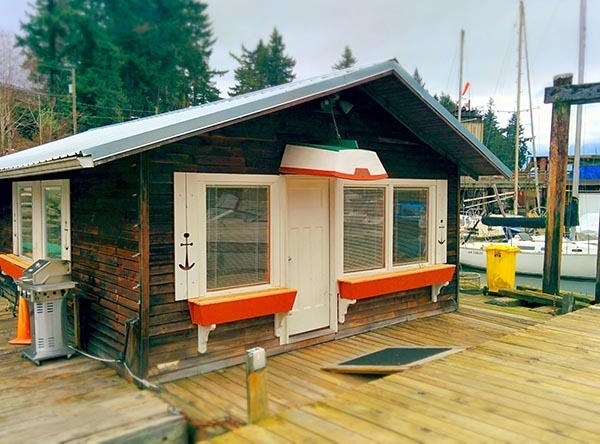 Union SteamShip Co. Marina is located in Snug Cove. We are 8 nautical miles from the city of Vancouver, BC. 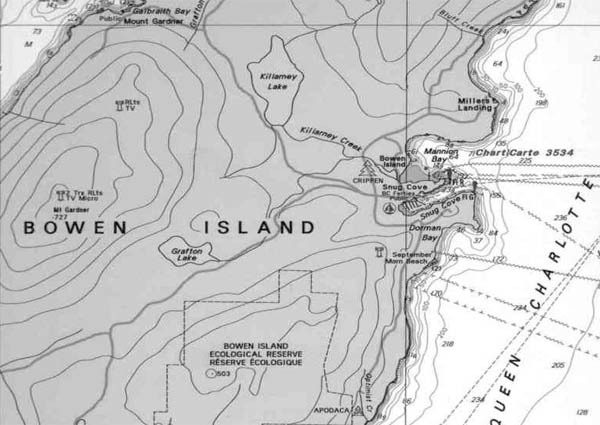 Bowen Island is an eight-mile long island, 14 miles northwest of Vancouver, BC. Known as ‘The Happy Isle’, Bowen is perfect for outdoor activities such as hiking, biking, kayaking and more! 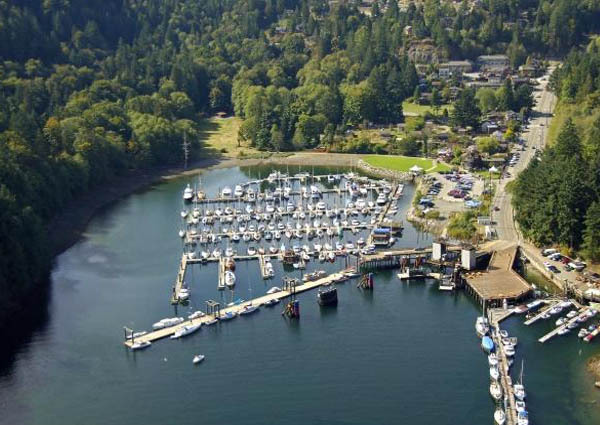 The village of Snug Cove is all with in a very short walk from our docks. The village includes full service grocery store, liquor store, shops and restaurants. There is also award winning 9-hole public golf course, transportation to and from can be arranged through the marina office. 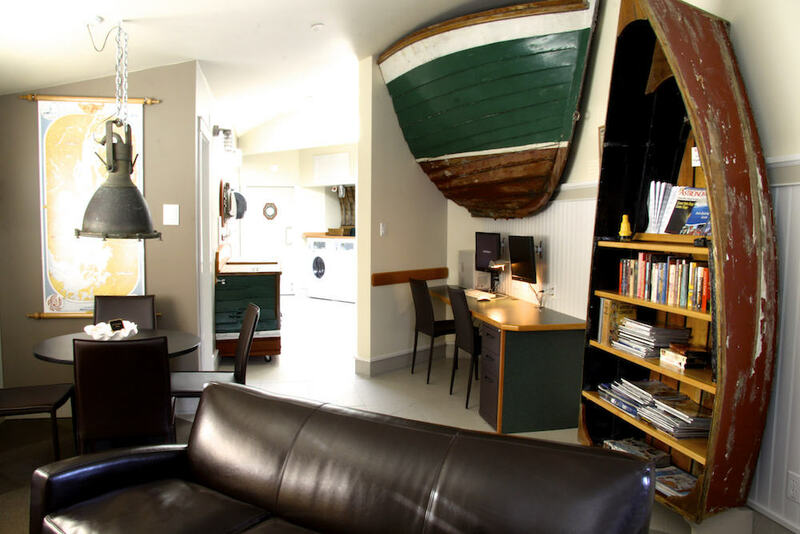 The Boaters Lounge is located above the marina office and Chandlery. 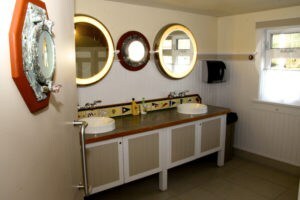 Our boaters lounge is considered by many boaters the best on the west coast! 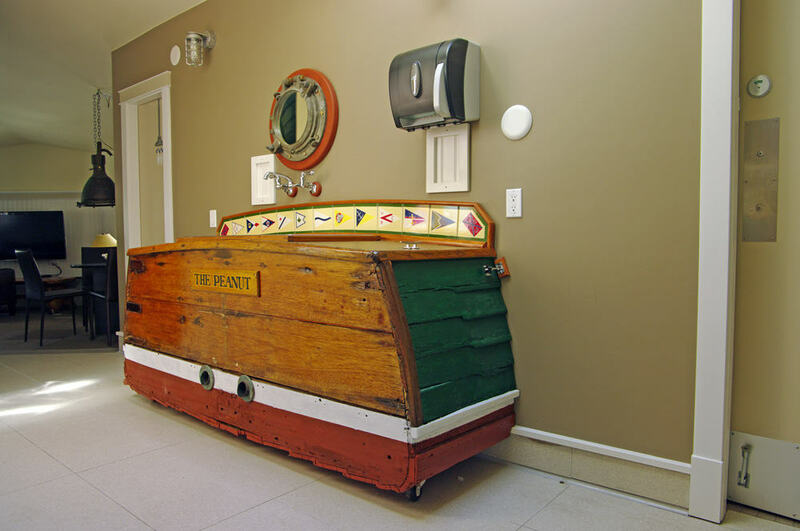 It features washrooms, showers and laundry facilities with many of the interior elements taken from local nautical memorabilia. The bow and stern sections of the old island launch, the “Peanut”, have been incorporated into the comfortable TV and computer lounge and small utility wet bar. 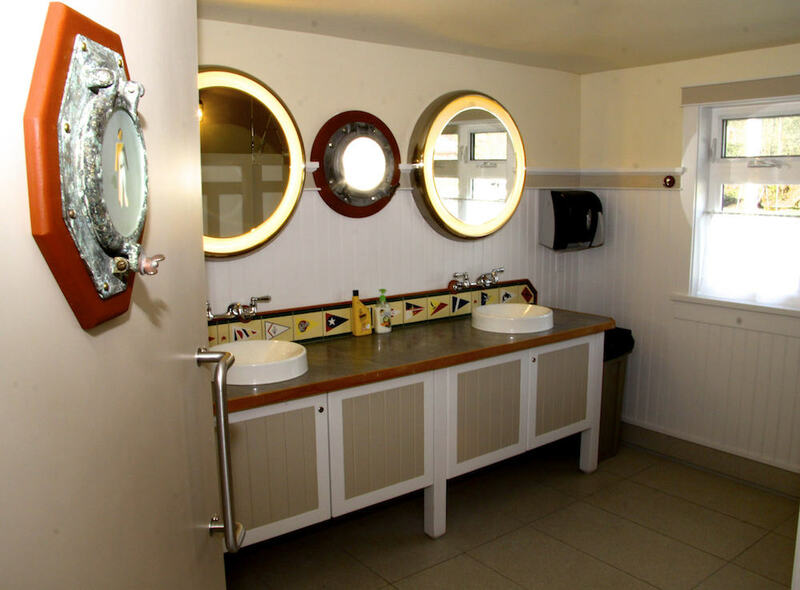 With three commodious unisex showers to romp around in and washrooms fit for a boutique hotel, you will also find details like rod rigging securing the stall partitions and portholes carefully aligned so one can look out while sitting on the loo! On the lower deck, the boater is welcomed into the marina’s airy reception desk and well-stocked chandlery. 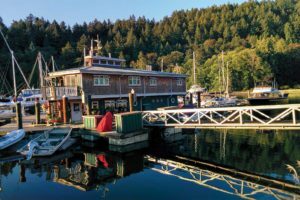 Union SteamShip Co. Marina operates 8 cabins. All accommodations have been carefully preserved to maintain their original character. Each unit has a fully equipped kitchen, living area, a full bathroom and most have wood burning stoves. Our accommodations range from: cottages, suites and a float house. Find out more about accommodations here.